Viknesh Vijayenthiran June 27, 2018 Comment Now! 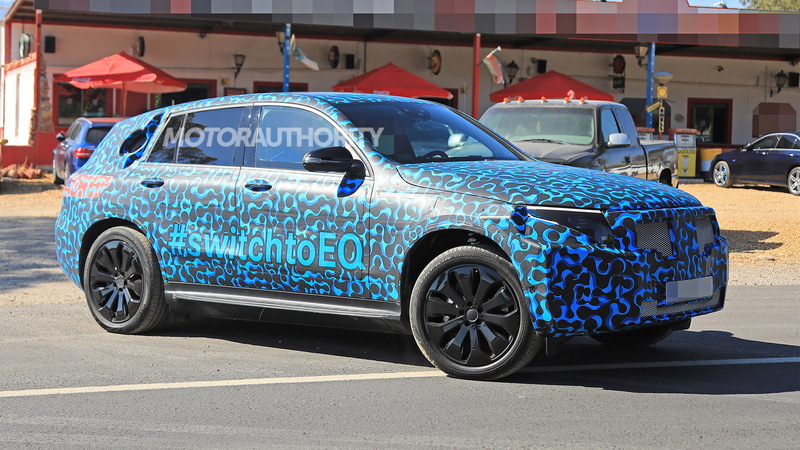 Prototypes for Mercedes-Benz’s electric SUV based on the Generation EQ concept from the 2016 Paris auto show have been spotted. 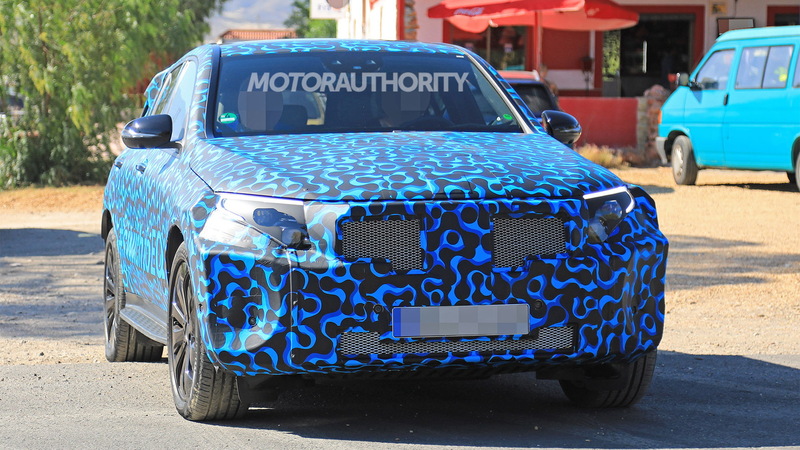 Earlier test mules had been using the makeshift body of a GLC Coupe to hide the new mechanicals, but now we can see the true shape of Mercedes' first volume electric car. Due for a reveal in early September, the vehicle will be called an EQC. The C in the name reflects the size and positioning being in line with the C-Class. The EQ part represents Mercedes' new sub-brand for electric cars—the name stands for “Electric Intelligence”—and models from the sub-brand will ride on a modular “skateboard” platform dubbed the Modular Electric Architecture (MEA), where the battery is stored in the floor and an electric motor is mounted at one or both axles. 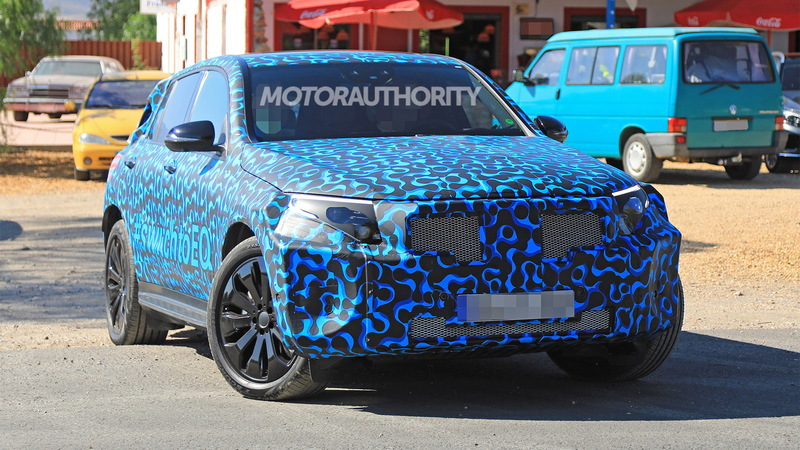 2020 Mercedes-Benz EQC spy video from Motor Authority on Vimeo. In the Generation EQ concept, two electric motors deliver a combined output of approximately 400 horsepower. They form an all-wheel-drive system and promise 0-60 mph acceleration of less than 5.0 seconds. It’s likely the EQC will offer varying levels of power and range to suit multiple price points. All Mercedes is willing to state is that the battery will have more than 70 kilowatt-hours and a range of at least 300 miles on a single charge. The battery will be a lithium-ion unit sourced from fellow Daimler subsidiary Deutsche Accumotive. The German firm already has a battery factory up and running and is extending this in preparation for Mercedes’ new electric cars. 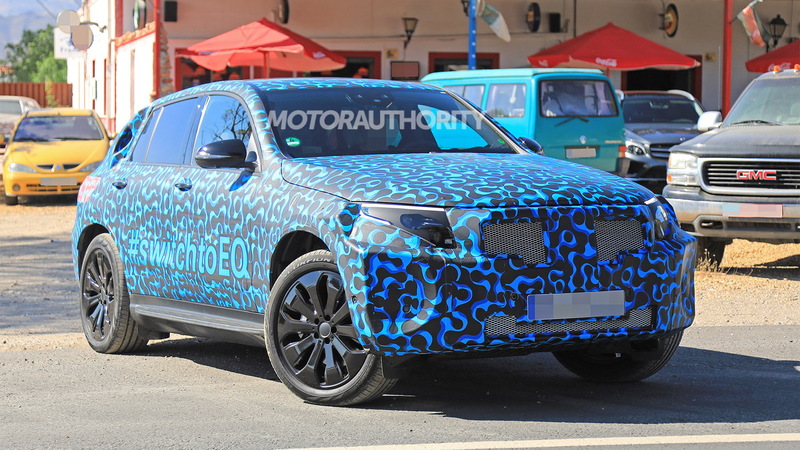 Production of the EQC will be handled at Mercedes’ plant in Bremen, Germany. The plant is the lead plant for the C-Class and GLC and where Mercedes will also build the low-volume GLC F-Cell hydrogen fuel cell car, which is also due in 2019. A reveal of the EQC is due to take place on September 4 at an event in Stockholm, Sweden. As mentioned, the vehicle will arrive in showrooms in 2019, likely as a 2020 model. Mercedes will follow up the EQC with at least nine more electric cars by 2025. There will be both sedans and SUVs and possibly even a sports car. One we know is coming is a compact hatch to be called the EQA. A handful of rival electric SUVs are due around the same time as the EQC. The list includes the Audi e-tron, BMW iX3, Jaguar I-Pace and Tesla Model Y.